Calling all bloggers, tweeters and posters! 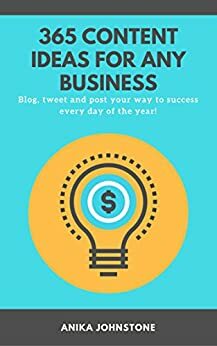 Whether you are a seasoned professional, or a beginner just starting out, coming up with fresh content and topics for your social media day in and day out can be really hard. 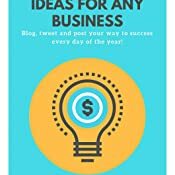 This book is designed to give you a whole year of fresh ideas so that you are never stuck for something to say again. The ideas can easily be adapted to ensure your digital marketing works. Use across your blog, website, LinkedIn, Facebook, Pintrest, Snapchat, Instagram and any other social media channel you can think of. 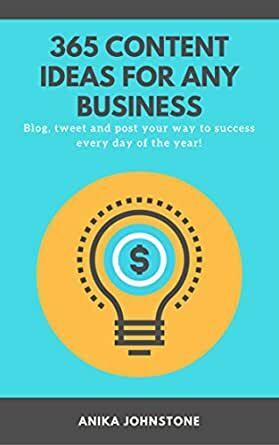 Easy to read and sure to inspire many more of your own brilliant ideas, this book will become a trusted companion for anyone managing a blog, brand or online community. 5.0 out of 5 starsGreat way to get you thinking out the box for content ideas! Some excellent ideas here. I can definitely see this being my go-to resource next time I need a starting point for new content ideas.